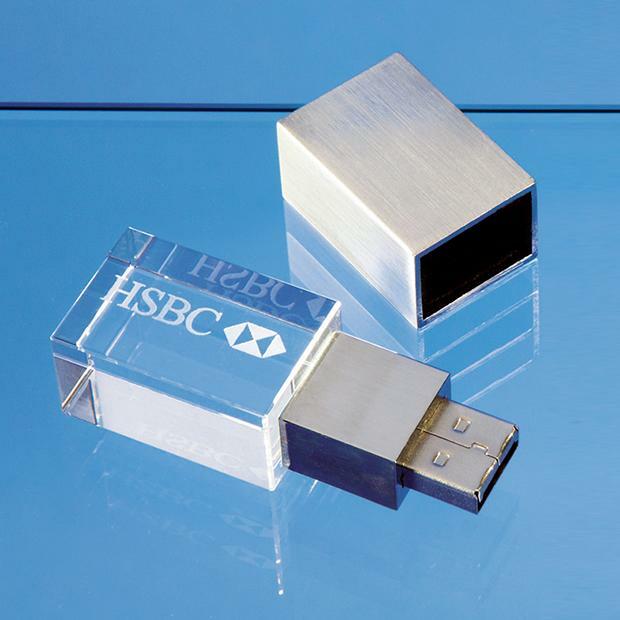 Memory Stick in Optical Crystal Glass, Personalised Memory Stick in Optical Crystal Glass, Engraved Memory Stick in Optical Crystal Glass. A unique and useful item for anyone. Perfect Business Gift and Marketing tool. Your logo, badge, text can be used to great effect. Comes in its own box.